Yes, even though I’m 24, its still a tradition to color eggs on Easter…its an excuse to get messy! 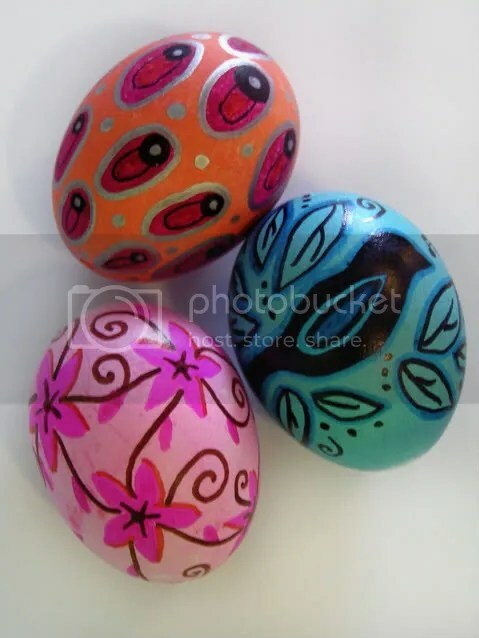 For the past 5 years, it has been a tradition with my fiance’s family to dye eggs and then draw on them with Sharpies. This was my “mod egg”. 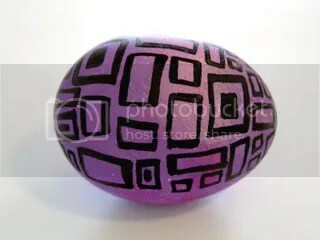 I left my egg in pink dye for 10 minutes and 5 minutes in purple. I love the result. 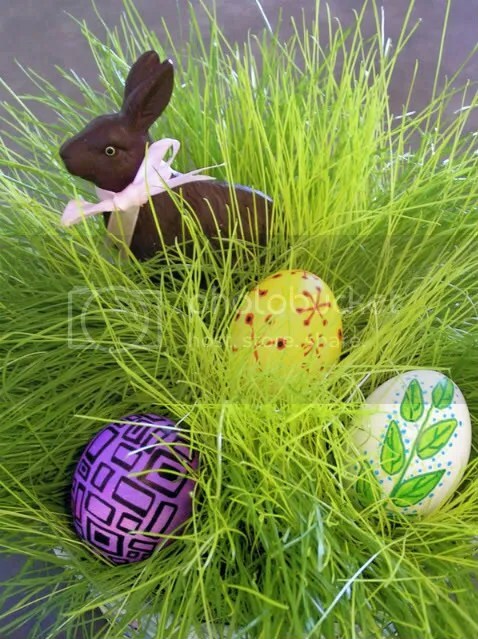 The past two years we have blown out some of the eggs so they keep and we can turn them into everyday ornaments with a little wire and ribbon. These are the three I made this year. The blue bird one will go in my kitchen and the other two I plan on giving away as gifts.